Examining the Benefits of a Psychology Degree | What is Psychology? Are there too many psychology majors these days? Is obtaining a psychology degree a practical goal for college students in the 21st century? Will I be able to find a job after earning a degree in psychology? These are the types of questions which many students brood over after entering university and developing an interest in human thinking and behavior. To be honest, it is not hard to understand why this interest in psychology develops. The simple truth is psychology is to be found everywhere, and is involved in just about everything. For example, with a firm grasp of a few basic psychological concepts, a shrewd businessman may be able to negotiate a deal which makes each involved party feel like a winner; a successful marketer may use a particular color or sound in his ad campaign which elicits a specific desired emotion in his target audience; an informed doctor may be able to provide effective treatment to a distressed person who shows no physical signs of injury or disease. A 2011 report prepared by Jane S. Halonen, PHD, in consultation with Chairs of Psychology Departments in Florida and the American Psychological Association (APA), states the psychology major is consistently one of the top 3 choices in the United States. Even after some universities implemented strategies to make the major less accessible, interest in psychology continues to grow. So are there too many students currently studying psychology today? Are employment options more restricted for graduates with a bachelor’s degree in psychology? Surprisingly, the answer to both questions is no. Halonen’s 2011 report claims getting a degree in psychology is perhaps one of the best decisions a university student can make. A typical psychology major will be exposed to different research methods and statistics, and take courses on both the natural science dimension (such as biology psychology or cognitive psychology) and the social science dimension (such as social psychology or abnormal psychology). This well-rounded educational approach brings added value to employers who appreciate the scientific method as well as human behavior. Effective workforce preparation includes developing attitudes, techniques, and skill sets that suit potential employers. For example, many employers value workers who display characteristics such as tolerance, dependability, adaptability, and persistence, even in the face of challenges. Desired skill sets may include project management, problem solving, critical thinking, interpersonal and communication skills, and team work. As the psychology major promotes the development of these and other positive attributes, many students who major in psychology are adequately equipped for entry level positions in the workforce, even without the added benefit of graduate school. Another popular criticism of the psychology major is that it is just too easy, and that students are not being stimulated to expand their intellectual horizons. However, this claim is far from the truth. Data from the National Center for Education Statistics (NCES) shows roughly 25% of students with psychology degrees go on to pursue graduate level studies, with 20-22% working on their Master’s degree and 4-6% pursuing a doctoral degree in psychology. About 40% of all students who major in psychology eventually go on to obtain graduate training. In fact, psychology is ranked 1st among undergraduate majors for post-graduate academic attainment. Perhaps the biggest benefit of obtaining a degree in psychology is the career flexibility it affords students. 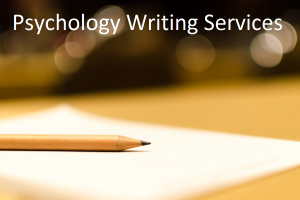 While some students may be interested in activities and occupations directly related to psychology—such as counseling and treating mental health issues—other psychology students may venture into fields such as law, medicine, business, education, politics, or social work. According to an article in the peer-reviewed journal Academic Medicine, students who majored in social sciences such as psychology performed just as well as students who majored in traditional pre-med subject areas. A 2015 report from the Bureau of Labor Statistics states approximately 2 million people are currently employed in community and social service fields in the United States. These individuals earn an estimated $42,010 annually. Organizations such as Mental Health America (MHA) have highlighted the need for more mental health providers in the country. So if you are a psychology major, there is absolutely no need for alarm; simply focus on studying hard, getting help with psychology essays, and doing your best in your chosen field. And even if you decide to change careers later down the line, a psychology degree will likely ensure that you are well equipped for your new venture.